FOX 2 news covered the Human Trafficking Workshop hosted by the College of Arts and Sciences Legal Studies department, interviewing Anne Geraghty-Rathert. 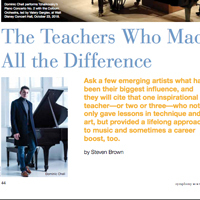 ... Community Music School faculty member Zena Ilyashov was cited in Symphony Magazine's "Teachers Who Made a Difference." ... Dan Hellinger wrote a column in "The Conversation" academic blog on the constitutional crisis in Venezuela. 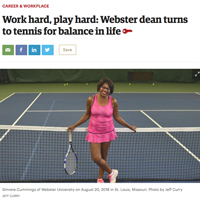 Simone Cummings was featured in the St. Louis Business Journal on work-life balance. ... Coverage of WILLOW Project client Angel Stewart went national, with Associated Press stories appearing in outlets across the country. ... Community Music School student Jerry Chang's live performance will air along with an interview on NPR's From the Top this week. Anne Geraghty-Rathert was interviewed by St. Louis Public Radio, Associated Press and the Riverfront Times about the case of Angel Stewart, a woman who has spent the past 25 years in prison despite suspicions that she was also a victim in the crime for which she was convicted. Stewart has been paroled by Missouri, with help form the WILLOW Project, but still has a life sentence in Iowa. Geraghty-Rathert is professor of Legal Studies and director of the Willow Project. Molly Stehn presented at an ACA conference on using dialectical behavior therapy within the counselor-client relationship. 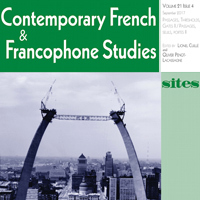 ... Lionel Cuille co-edited an issue of Contemporary French and Francophone Studies. ... Sheila Hwang presented on Jane Austen at an 18th century studies conference. ... Edythe Weeks contributed to a white paper in the "Contested Space Operations: A Strategic Multilayer Assessment" joint project. ... Brian Dozer was named Irvine Chamber Member of the Month. This year, WILLOW is sponsoring three single mothers who are in need of supplies and children’s gifts for the holidays. One of the moms is a current Webster student, one graduated from Webster in May and is looking for a job, and one is a friend of a current Webster student. All three of them are struggling temporarily to make ends meet and to get back on their feet. In Spring 2 Legal Studies will offer hybrid short-term study abroad courses wrapping up with visits to Webster campuses in Leiden, the Netherlands and Geneva, Switzerland. An informational meeting will take place on Wednesday, Nov. 1, 5 p.m. to 7 p.m. in the Webster Groves Room (Webster Hall Room 135). 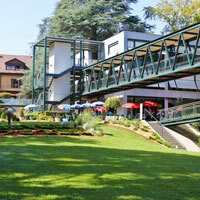 The Legal Studies department is hosting a Student Orientation and Open House on Wednesday, Sept. 27 from 6 - 8 p.m. There will be a representative from St. Louis University School of Law Admissions as part of the panel discussion to answer any questions about applying to law school or law in general. This will be a great opportunity for those interested in attending law school. Student-teacher relationships sometimes go beyond the classroom, and that’s what happened for Webster associate professor Anne Geraghty-Rathert and her student Amy Lorenz-Moser. 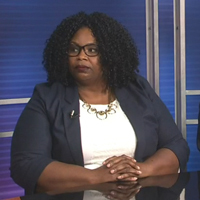 After graduating from Webster and later completing law school, Moser began representing women who were incarcerated for murdering their abusers. Her commitment to fight for her clients has successfully played a role in the release of several domestic survivors from prison. 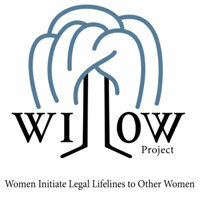 Through the WILLOW Project, these attorneys aim to help prevent more victims. Professor Anne Geraghty-Rathert and her student interns Angela Meng, Joyce Davis and Brittany Havin attended a news conference Monday, Nov. 21, at SLU Law School urging Gov. Jay Nixon to grant clemency in the cases of 15 Missouri women. 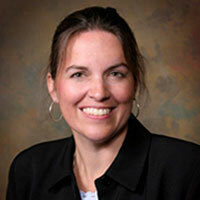 Legal Studies faculty member Judge Paula Bryant was appointed circuit judge by Missouri Gov. 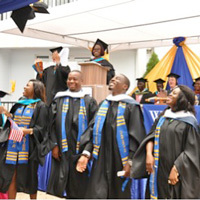 Jay Nixon, International Relations professor Daniel Hellinger's insights on politics in Cuba and Venezuela were featured in multiple outlets, and Webster Ghana's second commencement was featured on Ghana's Joy Online news portal. Mercedes Tunstall concluded her visit to Webster University last week as the second Woodrow Wilson Fellow from the Council of Independent Colleges. 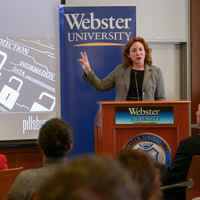 She spent April 4-8 in St. Louis visiting faculty members, students, alumni and community members in several engaging occasions to discuss social media, privacy, legal issues and cybersecurity. Her background as a Washington attorney and FTC staff attorney lent great insight to students in legal studies, cybersecurity, human rights and communications and journalism courses. 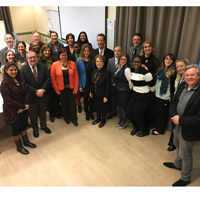 Webster University President Elizabeth (Beth) J. Stroble met with members of the Leiden campus while in the Netherlands earlier this week. The visit coincided with International Women's Day, and she joined the campus celebration of that event as well as the latest meeting on The Bijlmer Project, a nonprofit, grassroots collaborative project at Webster Leiden that assists victims of human trafficking. The St. Louis campus will host an event on trafficking on March 19.